Men paddling kayaks. 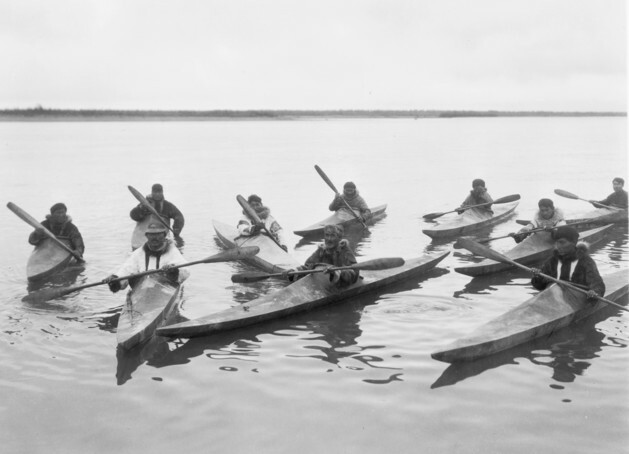 One man (front left) wears a hunting visor and carries a harpoon on his kayak’s deck (left side). Noatak, ca. 1929. Photo by Edward S. Curtis, courtesy of the Library of Congress, LC-USZ62-111135.